I saw this recipe recently so I had to try it. I often try new dessert recipes and sometimes Rosebud even helps me in the kitchen. 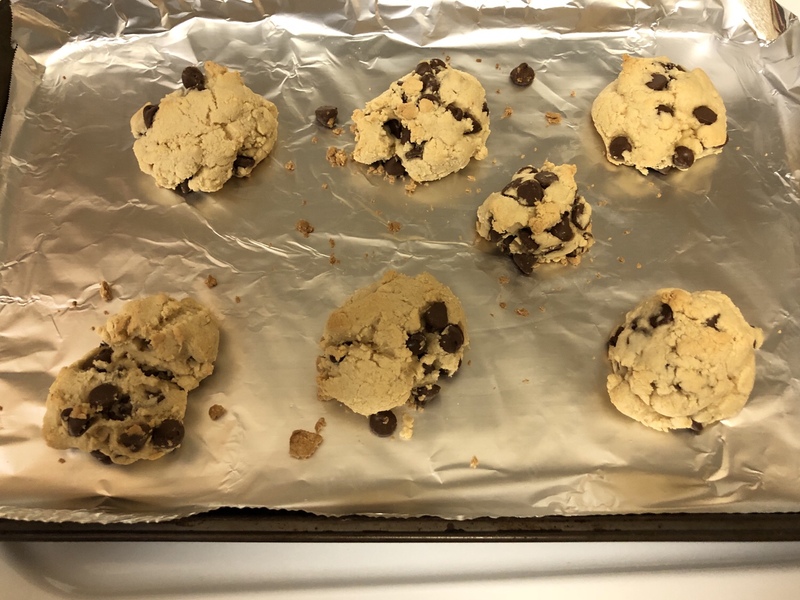 this chocolate chip cookie recipe is simple, doesn't take much time overall and I already had all the ingredients on hand. this recipe will be one of my favorites from now on whenever I need to make a sweet treat for a family gathering, office party or to have at home as an unhealthy, but delicious treat. Rosebud loves these cookies. they have the perfect chewy and soft texture. 1	Preheat oven to 350 degrees F (175 degrees C). 2	Cream together the butter, white sugar, and brown sugar until smooth. Beat in the eggs one at a time, then stir in the vanilla. Dissolve baking soda in hot water. Add to batter along with salt. Stir in flour, chocolate chips, and nuts. Drop by large spoonfuls onto ungreased pans. 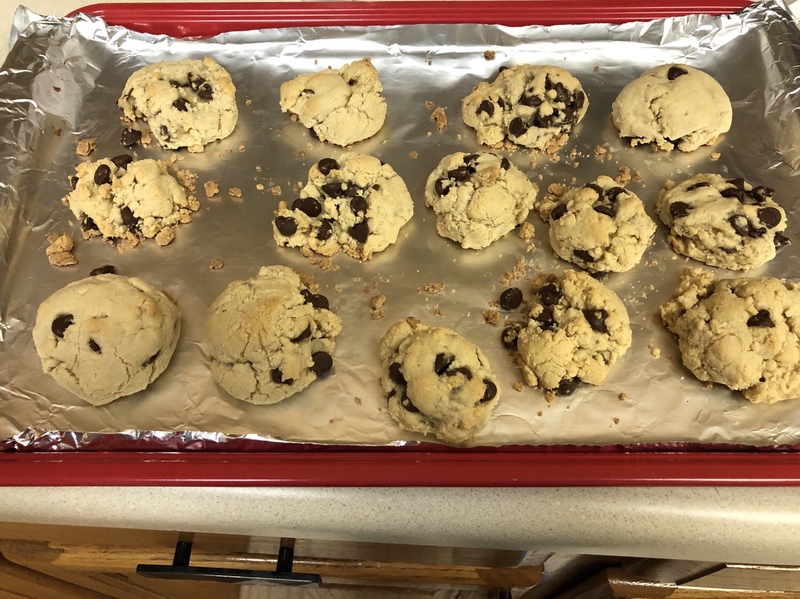 3	Bake for about 10 minutes in the preheated oven, or until edges are nicely browned.